The Ink Trap: Looks like I need glasses! Hey all! 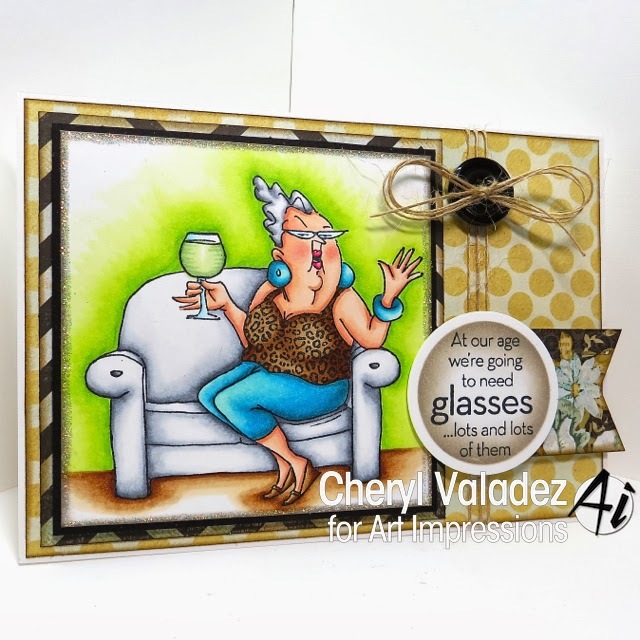 I'm back today with a card featuring Celeste by Art Impressions. Unfortunately, I'm feeling under the weather so I'm going to keep this super brief. The bed is calling my name and I plan on getting 12 hours of sleep tonight. I'm sure that is the exactly what I need. 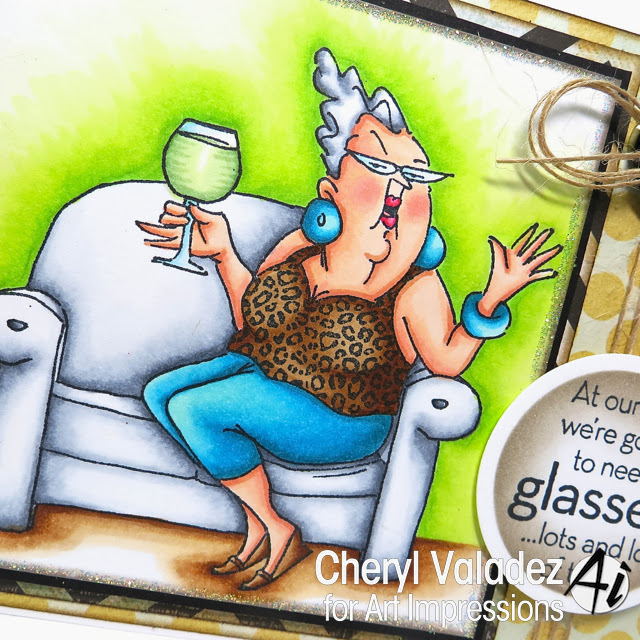 Be sure to visit the Art Impressions blog for daily inspiration from the Design Team. Also, you'll find Celeste (#4326) plus lots of other fabulous images in the Art Impressions shop, so be sure to head over there after you leave here. Okay, with that, I recommend you follow Celeste's advice and approach growing older with glasses...LOTS and LOTs of glasses! LOL!